Owen's class did a "Secret Santa" gift exchange this week and the rule was that the gifts HAD to be handmade. Owen wanted to make his partner special Rice Krispie treats. 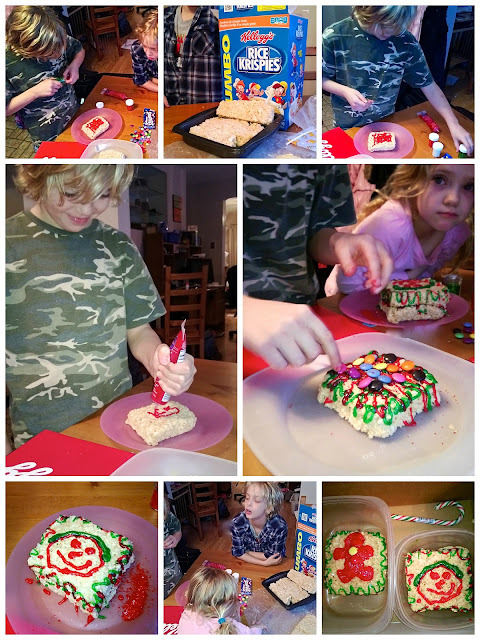 Owen and I checked out the fun recipes on the Rice Krispies website and thought the "holiday presents" looked like a fun and easy treat to make. I do think you should go and see how Owen's interpretation of a beautifully decorated present differs from the Rice Krispies Holiday presents though *snicker*.